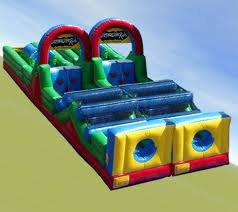 Kids will love racing each other in the Backyard Obstacle Course Rental. It is a double lane obstacle course that 4 kids can be in it at a time. 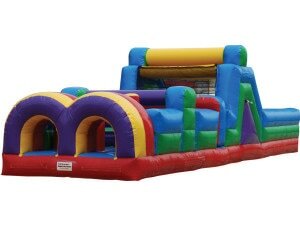 The Adrenaline Rush 2 obstacle course rental is perfect for school fun or field day events, or for church events.